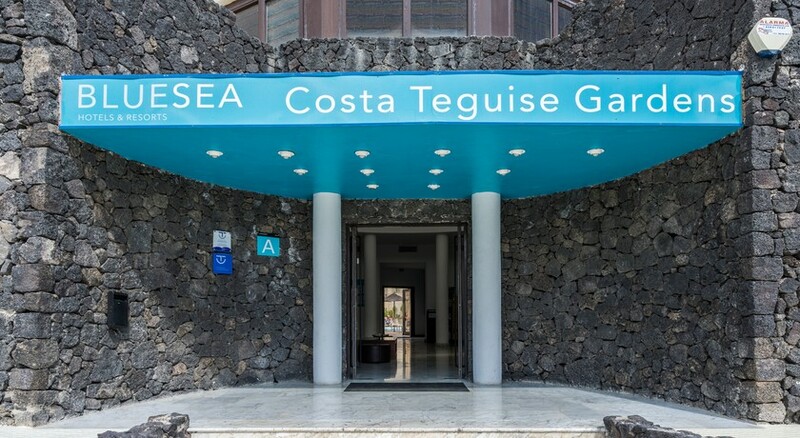 The Blue Sea Costa Teguise Gardens is located in Costa Teguise only 800 meters from the beach. It's a contemporary and comfortable bliss for golf lovers and a family-friendly hotel featuring one or two-bedroom apartments constructed in typical Canarian style. Each apartment has its own terrace or balcony and a kitchen. The hotel houses a buffet restaurant for those who do not want to cook. Apart from this, you can also go for all-inclusive board option to enjoy unlimited food and beverage. 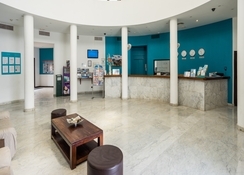 Other facilities include an outdoor swimming pool, car rental, laundry, pool bar, money exchange, 24-hour reception, Wi-Fi, children's pool, parking, entertainment programme, evening shows, sauna (additional charge), Jacuzzi (additional charge), pool towels (additional charge) and sports courts. Blue Sea Costa Teguise Gardens is located in Costa Teguise, Las Palmas, Spain. It is about 800 metres from the beach in Costa Teguise. It will be an exciting time for the golf lovers, as the Costa Teguise Golf Course is only 2.8km from the hotel. The Lanzarote Airport is only 13.2km from the hotel, making it convenient for the guests to board their flights on time. Whether you are a solo traveller, couple, single parent, family or with a group of friends, you will find something suitable for accommodating yourself and your loved ones. The apartments come in the following categories: One Bedroom Apartment, Single Parent Apartment, Two Bedroom Apartment and One Bedroom Apartment (Individual use). One Bedroom Apartments come with the following amenities - separate bedroom with twin beds, living/dining room with sofa bed, desk, coffee table, fully equipped kitchen, terrace or balcony and telephone. Two Bedroom Apartments come with the following amenities- two separate bedrooms, private bathroom, living/dining room with sofa bed, desk and coffee table, fully equipped kitchen, terrace or balcony and telephone. 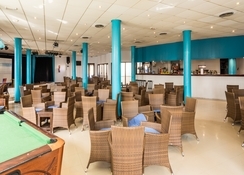 The buffet restaurant serves a range of international cuisine, while the pool bar is the place to go for cocktails, drinks and snacks. Blue Sea Costa Teguise Gardens is located just 10 minutes from the main strip, where there are plenty of restaurants, bars and shops to discover. 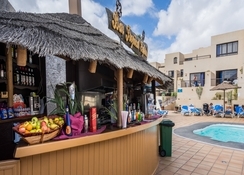 Close to the hotel, too, there are several restaurants where you can enjoy delicious Canarian cuisine. The hotel also holds regular theme nights to enjoy. The hotel provides ample sports and leisure facilities to keep the guests engaged throughout the day. Some of the facilities include adult-only outdoor swimming pool, children-only outdoor swimming pool, solarium, sauna, billiards, tennis court and much more. Those who want to rejuvenate their senses and take themselves completely off from the day to day stress can utilize and spa and wellness centre. Stayed here for a mini break in July 17 and it was absolutely lovely! Pool was great, food was nice, everyone was very friendly! After leaving the hotel and arriving at the airport early hours of the morning i had forgotten my purse and they did all the could to get that back to me and i’m very greatful. Had a great all inclusive break here for 1 week. Loved it and would go back in a minute. Not exactly what we expected but ok. Food save it!! You get what you pay for, very basic despite being told it was 4star, more like 2/3. Is in need of redecorating & upgrading & updating the facilities. Won't be staying again any time soon.